For those who are searching hard for a reliable headlamp, we highly recommend this Nitecore HA20 300lm White Light LED Headlamp! 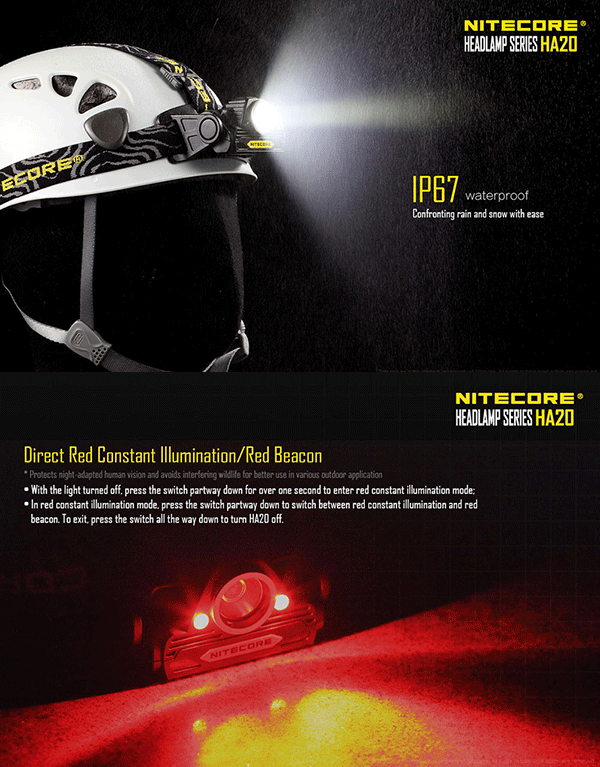 Utilizing top grade LED driven at maximum power, this headlamp produces blinding bright white light up to 300 lumens. Besides constant lighting mode, it is also equipped with red beacon, slow flashing, and SOS modes in case of emergency. Sturdy aluminum alloy construction is tough enough to resist dust, water and impact. Ergonomic head switch design allows for convenient one-hand operation. Don't miss out!